While all of Buster Keaton's feature length silent films are already on Blu-Ray from Kino Lorber, the distributor as partnered with Lobster Films to bring newly restored editions of Keaton's classic works complete with brand new special features. Even if you already have the original releases, these are worth picking up for any fans of Keaton's work (The General is worth the purchase for Joe Hisaishi's new score alone). 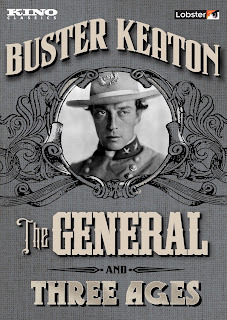 I'm not sure there's another comedy out there more perfect than Buster Keaton's The General. Keaton stars as a southern train engineer who is rejected from the military due to his unique skills. His girlfriend tells him she will never marry him until she sees him in uniform. But when she is kidnapped by Northern spies who hijack her train, Keaton sets out to save her and his beloved engine, the General, from enemy hands. 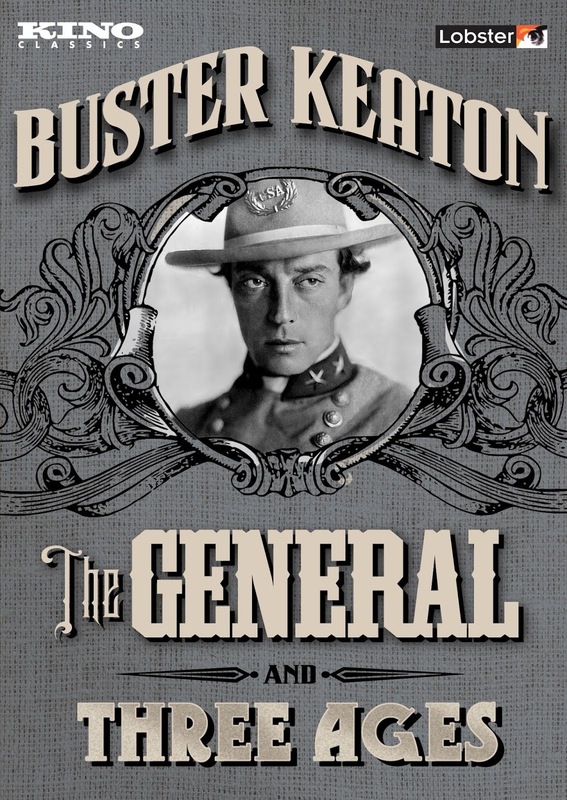 The General is both a comedy and a war movie, managing to be both hilarious and thrilling at the same time. It is the pinnacle of Keaton's genius for physical gags, providing him the grandest scale of his career. This is one of those films that never fails to make my jaw drop, no matter how many times I've seen it. Keaton's prowess for stunts and deadpan physical comedy is on full display here. What he manages to do with that train simply boggles the mind. Without the aid of models or CGI, Keaton rides on the cowcatcher of a real train, frantically moving discarded railroad ties out of the way. He holds train cars together. Trains run into each other and fall through burning bridges. The General flies from one marvelous set-piece to another, barely stopping to catch it breath. Yet it never feels overly busy or overstuffed. Keaton was never better than he was here, combining popular melodramatic structure of the time with his own brand of slapstick in brilliant ways, all the while maintaining his trademark deadpan stone face. It's not just one of the greatest films of the silent period, but of all time, and arguably the greatest comedy ever made. 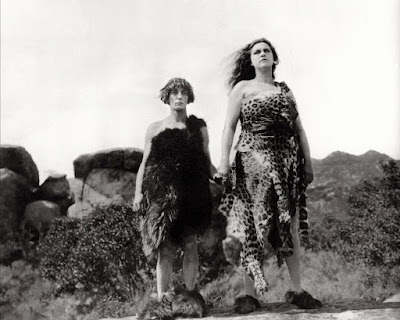 Buster Keaton's first feature (if you don't count The Saphead, which was neither conceived nor directed by Keaton), Three Ages is an ambitious parody of D.W. Griffith's Intolerance, following three different love stories over three different eras. Keaton plays three different unlucky-in-love saps; a caveman, a Roman centurian, and a modern man, all trying to woo women in spite of her family's preference for a wealthier, stronger man. I love the little details of this thing. The roman numeral license plate and spare wheel on the back of Keaton's chariot, for example. While Three Ages is not Keaton's best feature (it often feels like three short films stitched together), it's filled with such wonderful visual wit. Many of Keaton's best gags are of a blink-and-you'll-miss-it variety. The film itself is not in the best shape, even in Kino's new Blu-Ray edition, but the film has its charms, nevertheless. Keaton had pretty much perfected the short comedy by this point, and while he isn't quite able to sustain the jokes over the course of a feature yet, especially when they are essentially repeated three times across the film, but his eye for comedic detail remains unparalleled. Now on Blu-Ray and DVD from Kino Lorber.